There is strong belief within the health care industry that obesity should be treated as a primary medical condition, with physicians playing a major role. Evidence suggests that patients are more likely to lose weight when they are advised by their primary care physicians to do so. 3 However, the numbers tell us that we are not yet having a significant impact on the long-term health of the general population. Let’s look at some of the reasons this might be, and what we can do to change the situation. Physicians often cite frustration when dealing with obesity and weight loss, due to feeling their patients lack the discipline to lose weight, don’t have time to exercise, or deny having poor eating habits.4 Some don’t even believe that obesity treatment can be successful – a mere 22 percent of physicians in a recent study felt that maintaining weight loss in the long term is possible.5 The obesity epidemic is growing, after all. It would seem, then, that a lack of empathy towards obese patients can be extremely damaging. Losing weight is difficult. I have personally struggled to lose weight. Weight loss is a journey that requires a trusting and collaborative relationship between patient and practitioner, and long-term commitment from both. Thus, there is hesitancy among some physicians to pursue treatment for obese patients because busy schedules do not accommodate for the time necessary to devote to this commitment, for which they feel they are not adequately reimbursed.4 While the introduction of the Accountable Care Act (ACA) and pay-for-performance measures might help overcome this financial roadblock, there are a number of questions physicians can ask to help understand their obese patients, and ultimately help them lose weight. No relationship works if it is one-sided. Weight loss is an extremely personal and often life-changing journey, and one that the patient should be ready to embark upon. If you have a patient you think would benefit from losing weight, talk to them. One-third of patients who are obese report that they have not been told by their physician that they are overweight,6 let alone provided with any weight loss guidance. Is their weight loss goal achievable? How are they coping with the weight loss journey? Under the ACA, patients who are clinically obese may enroll in Medicaid and become eligible for intensive behavioral counseling for obesity, for which primary care physicians will be reimbursed from the Centers for Medicare and Medicaid Services (CMS). This could have a huge impact as historically Medicare has set the standard for commercial insurers. Already, most insurance plans are now required to cover weight loss and maintenance efforts for obese patients. The biggest opportunity to address the obesity epidemic may come with the shift in health care away from the fee-for service model and towards pay-for-performance. Under the pay-for-performance model, reimbursement is based on quality metrics, adherence to certain care processes, scores on patient satisfaction surveys and patient outcomes. This model will support and encourage physicians to incorporate structured weight loss and long-term weight management programs that have measurable, repeatable and sustainable results in reducing obesity and its associated chronic illnesses. Structured programs help motivate patients along the way, and seeing tangible results in measurements, lab results or decreased medications will help ease frustration with weight loss and help your patient remain committed to the journey. Five years ago I introduced one such weight-management program to my cardiology practice. The program provides tools such as one-on-one nutrition counseling and education to support patients along their weight loss journey, and perhaps most importantly, motivates patients throughout with measurable results. I lost 100 pounds on the program personally, and almost 6,000 of my patients have lost more than 96 tons of weight so far. With the help of these industry changes, if we remain empathetic towards obese patients and fulfil our commitment to supporting them along the weight loss journey, structured weight loss programs that help patients fulfil their side of the commitment can help us tackle the obesity epidemic in ways we haven’t been able to before. Douglas Rothrock, M.D., is a Board Certified cardiologist practicing in Prescott, AZ, and is the Senior Medical Advisor for Ideal Protein®, a physician-developed weight loss method now offered in more than 3,000 practices in North America. 2. Rippe J, McInnis K, Meanson K. 2001. Physician Involvement in the Management of Obesity as a Primary Medical Condition. Obesity Research, 9 (S4), 302S-311S. 3. Plourde G, Prud’homme D. 2012. Managing Obesity in Adults in Primary Care. Canadian Medical Association Journal, 184 (9), 1039-1044. 4. Ferrante JM, et al. 2009. 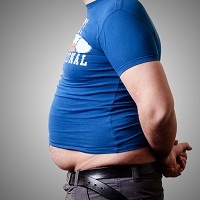 Family Physicians’ Practices and Attitudes Regarding Care of Extremely Obese Patients. Obesity Journal, 17 (9), 1710-1716. 5. Foster G, et al. 2003. Primary Care Physicians’ Attitudes about Obesity and Its Treatment. Obesity Research, 11 (10), 1168-1177. 6. Breitkopf C, et al. 2012. Who Is Counseled to Lose Weight? Survey Results and Anthropometric Data from 3149 Lower Socioeconomic Women. Journal of Community Health, 37 (1), 202-207. 7. Dalle Grave R, et al. 2005. Weight Loss Expectations in Obese Patients and Treatment Attrition: An Observational Multicenter Study. Obesity Research, 13 (11), 1961-1969. 8. Pollak, K., et al. 2010. Physician Communication Techniques and Weight Loss in Adults: Project CHAT. American Journal of Preventive Medicine, 39 (4), 321-328.